The Robocop Hybrid Metal Figuration-025 Action Figure features more die-cast metal parts than ever in the Hybrid Metal Figuration series! Robocop is equipped with his famous Auto-9 pistol and data spike to fight against criminals! When there are no enemies, he can conceal his trusted weapon in his right Weapon compartment. 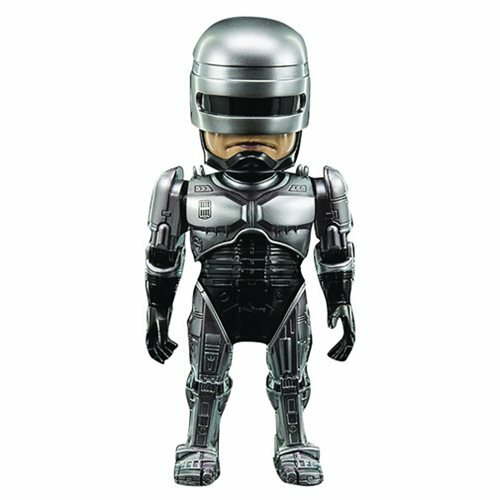 Robocop is fully articulated and stands about 5 1/2-inches tall. Ages 15 and up.